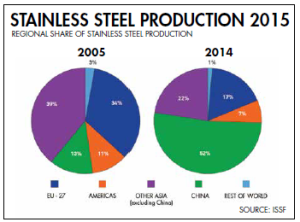 Stainless Steel Development Associations (SSDAs) around the world are having to achieve more with less, as many stainless steel markets have suffered serious damage to their membership base since the global financial crisis. This was one of the conclusions of the SSDA meeting that I attended in the latter part of May, under the auspices of the 19th Annual International Stainless Steel Forum’s (ISSF’s) Conference in Hong Kong. 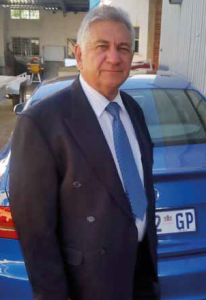 In March 1994, amidst South Africa’s shifting economic and political landscape, Frans Kloppers and Errol Benvenuti started Vessel Fab with a staff complement of just three people and a working capital of R75 000. They hired part of a workshop in Lee Glen (in Florida, Gauteng) and set to work on the first order for a Cyclone in stainless steel type 316L for Kemplant. Today, 21 years later, the company employs about 40 people and have completed work for major clients such as Arcelor Mittal, Euchem, Anglo Gold, Mass and Heat Transfer and many more. Recently, the International Trade Administration Commission of South Africa (ITAC) determined that prima facie evidence existed that subsidised exports of coated fine paper from China are injuring the South African market. 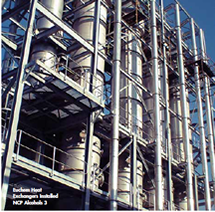 Outokumpu’s formable duplex stainless steel grades (FDX™) are proving to be well suited to demanding applications such as pump casings, where the formability of the stainless steel is a vital asset alongside strength, durability, and resistance to wear and corrosion. As a consultant engaged to devise a Marketing plan for an organisation, the temptation is great to recommend mighty changes from the status quo. After all, the recommendations must justify the fee. So, in many instances, change is for change’s sake and good things destined for the trash along with the activities, mindsets and behaviour that have been hampering the organisation. Frans Kloppers started his career as a boilermaker and after 24 years decided it was time he became his own boss. Today he is the MD of Vessel Fab, a fabrication company located in Chamdor (Gauteng), which has been in business for 21 years and employs roughly 40 people, with major contracts from big players in the industry.